An energetic and vibrant study and work environment blurring the boundaries between play and work spaces that would bring spark and inspire students to think naturally and intuitively. An innovative and flexible learning space allows for multiple functions and multiple capacities with ease in no time. The central area or break out space is deliberately left fluid and open to spark discussion among student and faculty. The allows for uninterrupted visual access and easier cross circulation across the different functions. The central zone design consisting of three oval forms inspired from “egg or cell” as a metaphor as a beginning of a new idea takes to the floor and ceiling. All the classrooms are arranged on one side and the office on the other to provide a clear definition of spatial functions. 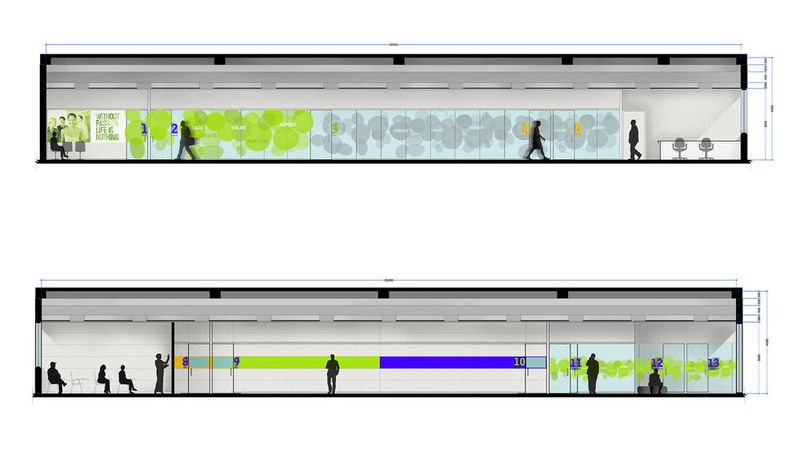 The classroom walls are collapsible to allow them to combine for larger gatherings or lectures when required. 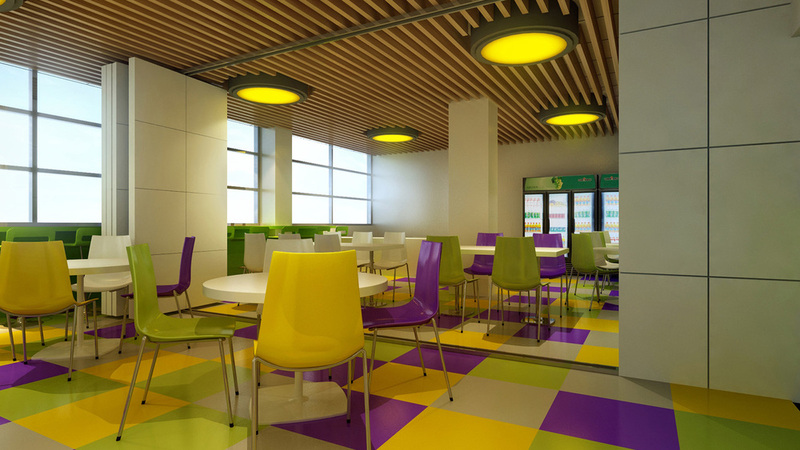 Half of the canteen also functions as the activity zone when required. Vivid brand colors of orange, yellow, purple and predominantly green are used to accentuate and stimulate the environment.